It might be helpful to understand my connection to the library with an understanding of my upbringing and immigrant journey. I was born in Cambodia in 1972, and grew up in the labor camps of the Khmer Rouge. It wasn’t until I arrived at a Thai refugee camp in Khao I Dang, that I was introduced to the concept of reading. It may be hard for people in the United States to understand how lucky they are to be exposed to reading and learning at a young age. There is a whole generation of Cambodian refugees who grew up with little to no literacy. 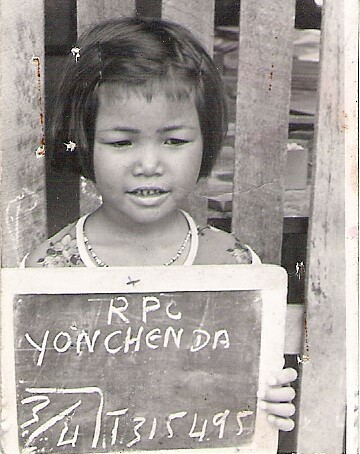 When I came to the United States in 1980, I didn’t know how to read or write in English or Khmer. I only knew how to answer yes or no in English, and I could recite the English alphabet up to the letter F. It wasn’t until the 10th grade that I became aware of how reading and education could transform and broaden one’s perspective. I was an honor student at Woodrow Wilson High School in Long Beach, but college never seemed possible for me because most other Khmer students in my neighborhood did not go to college. My best friend in high school, Sarom Trinh, found out that I had started working at a sewing factory after graduation. She encouraged me to apply to Long Beach City College. At LBCC, I decided to pursue education as a nurse. After completing most of my nursing classes, I decided that I didn’t want to be a nurse. So prior to my last semester I dropped out of the nursing program. I had a hard time determining what to do next, so I started volunteering at Burnett Library which was very near to where I lived. I loved to read, and I enjoyed being in the library environment. The librarian in charge, Mary Donberg, suggested that I apply for a library page position. 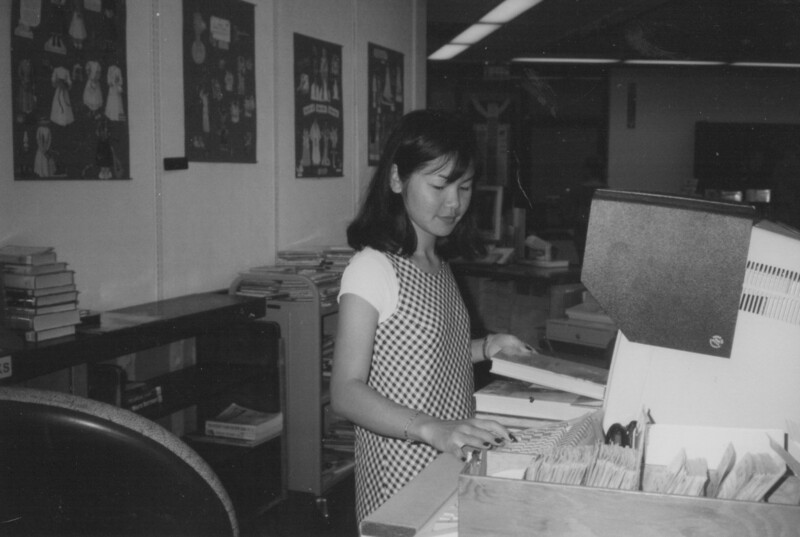 Working as a page was a really great match for me, because it allowed me to be exposed to information and topics that I had never experienced. It opened my eyes to many possibilities that I didn’t know existed. It took me out of my neighborhood, and I read about other people’s stories. I started reading about Cambodia’s history and tried to understand how my family and I became immigrants. Most important in the development of my career has been the personal relationships with the librarians at Long Beach Public library. The staff had a big impact on my wanting to pursue higher education. Working at the library, I realized how much I loved learning and that working for the library might be a lifelong career for me. There were a few librarians who directly encouraged me to complete my Bachelor of History at Long Beach State and to go further. Debbie Gurley (Vilander), Marge Holleman, Chris Burcham, and Cyndi Effrain all encouraged me and opened my eyes to the possibilities of pursuing a master’s degree in library science. This was something I never thought I could achieve and wasn’t within my reach. Working with people who supported my education and saw the potential in me was one of the biggest turning points in my life. In 2003, I applied to and was accepted by San Jose State University in their Master’s of Library and Information Science program. It was very challenging working two jobs, and taking library science courses but I had a tremendous amount of support. Janet Katz was a huge help in editing my final papers and inspired me to pursue excellence in my education.